Home About Paul S. Kimsey Esq. Paul Kimsey has been a practicing trial attorney for over 20 years focusing his practice on serious injury claims, disability insurance claims, ERISA and mediation. After receiving his Bachelor of Business Administration degree from the University of Georgia in 1990, he earned his Juris Doctorate degree with honors from Stetson University College of Law in 1993. While attending law school, Mr. Kimsey served on the Stetson Law Review. 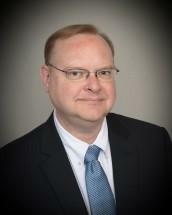 After being admitted to practice law by the Florida Bar in 1993, he has worked continuously as a litigation attorney. He founded his law firm in 1997. Mr. Kimsey is also a Florida Supreme Court Certified Civil Circuit Mediator and a Certified Mediator for the United States District Court for the Middle District of Florida. He is “AV Preeminent” rated by Martindale-Hubbell, the highest level of professional excellence as determined by peer-reviews and the judiciary. Mr. Kimsey is a member of the Million-Dollar Advocates Forum and has earned a perfect 10/10 rating from Avvo, a widely recognized attorney rating system. He has also served as an adjunct professor in the MBA program with the University of South Florida – St. Petersburg since 2014 where he teaches advanced negotiation to graduate-level students. He has been a continuing legal education lecturer in a variety of Florida Bar approved CLE courses on various topics including catastrophic personal injury cases, wrongful death litigation, ERISA, lien law, negotiation, mediation, litigation tactics and trial strategy. His experience also includes work with Auburn University as a guest instructional mediator and lecturer, Stetson University College of Law as a teaching fellow, and a Federal Judicial Internship with the Chief Judge for the United States District Court for the Middle District of Florida, Tampa Division. His other experience includes work with the U.S. Environmental Protection Agency and the U.S. Army Corps of Engineers. Mr. Kimsey is a licensed attorney and is admitted to practice law by the Florida Supreme Court, the United States Federal District Courts for the Northern, Middle and Southern Districts of Florida, and the United States Eleventh Circuit Court of Appeals. He is an active member of several national, regional and local bar associations, including the Florida Justice Association and the Hillsborough County Bar Association. Mr. Kimsey continues to be active with the Tampa Bay Trial Lawyers' Association, where he has served on the Board of Directors and the Committee on Ethics and Professionalism.